How liquefied gas carriers are built ? Gas carriers are high-tech ships, designed with safety and security in mind & using special materials and designs to safely handle the very cold LNG. They are robustly designed and constructed and the majority of hazards are minimised by strict compliance with the requirements of the International Maritime Organization (IMO) and other organisations during the design process. Gas Carriers are inspected regularly throughout the world to ensure that the requirements of the IMO rules continue to be met. All ships have two hulls, in effect a double ship that protects the cargo in the event of a collision, grounding, or a terrorist act. Even before the ship construction has begun, government safety experts review the plans. The ships are inspect- ed during construction and are periodically inspected after completion. International and U.S. Coast Guard rules cover just about every safety feature of these ships, as well as crew training standards. Everyone involved in liquefied natural gas transportation takes safety very seriously. There are many lives and a great deal of money at stake. Government and industry work together to make sure these ships are designed, maintained, and manned with safety in mind; industry maintains them with oversight by periodic government inspection, and government sets the standards for crew training. This has result- ed in an outstanding safety record. Over the last decades there have been no record of significant LNG spillage worldwide because are so well designed . Due to the extra care in designing, maintain- ing, operating, and inspecting liquefied gas carriers, they have an excellent safety record, with no major problems in sea voyages. LNG tanks or LNG storage tanks is a specialized type of storage tanks used to store LNG. 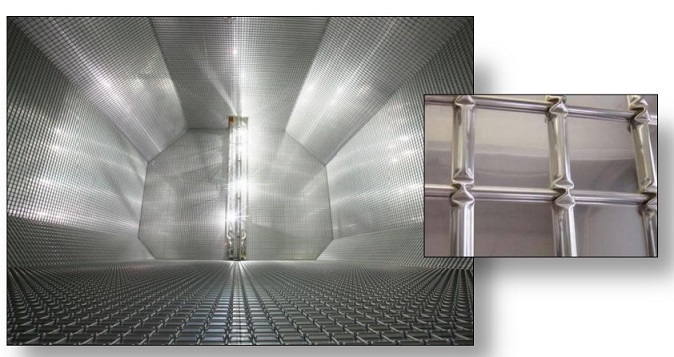 In order to keep natural gas liquid, the temperature in these tanks is very low, about at -162 deg C. For this reason a thick layer of insulation with two barriers exists on every LNG tank. However this does not impede the thermal current to exist, so the LNG is heated and part of it evaporates. The usual term for these vapors is boil-off. There are two basic different concepts on handling of boil-off. The first is to allow vapors to leave the tanks so that they or consumed anywhere on ship or are re-liquefied and returned in storage tanks. In this case the pressure remains constant in tank. The second is to keep vapors of gas in tank and to allow the pressure to grow. So if the volume remains constant the pressure increases in the storage vessel, if the pressure remains constant the LNG boils and boil-off is released. All the dangers coming from the use of LNG shows that a special precaution measures must be taken to avoid unwanted results. At a design level in order to avoid cryogenic damage the exposure of pipes and couplings must be reduced and an effort must be done to eliminate risk for damage or injury in case of small leakage. Also the length of bunkering lines must be reduced to minimize air emissions. Gas detection system must be installed in areas with possible leakages such as re-liquefaction plant, instrumentation and control. The system must be in working condition during burning operations. Such system are flame screens fitted in the supply line. Pressure levels in tanks must be constantly monitored. All the supply lines must be purged with inert gas before and during burning operations. Ventilation must be installed and be in operation in re-liquefaction plant space, machinery space and near untrunked gas piping. The all systems of safety must be constantly checked and maintained, and the crucial systems twice. All piping must be checked for any leakages. Handling of safety systems requires special education for the crew. All the incidents, even trivial must be reported to responsible officers. The most severe accident that may realistically occur on a loaded LNG tanker is the breach of one or more storage tanks, with consequent discharge of liquefied natural gas outboard. Fortunately, no accidents leading to loss of cargo have occurred over the history of maritime liquefied natural gas transportation. Even when a submarine emerged directly under LNG carrier, no leakage occurred, although the bottom was damaged. According to more conservative review, LNG carriers are less incident-prone than oil-carriers, and the incidents happened with LNG carriers are rarely related to cargo. That's incredible difference with LNG shore facilities where a great number of accidents has occurred even with hundreds of dead. This fact is owed to special design of LNG: double hull of LNG tanks and separation between LNG tank and inner tank. This means that a possible penetration has to overcome at least three barriers before the LNG is released. Also LNG carriers are high-tech ships, using special materials and designs to handle safely the very cold LNG. Ships plans are carefully examined before final approval, and these ships are inspected during construction and are periodically inspected after completion. The sea transport of liquefied gases in bulk -Where do the products come from ?